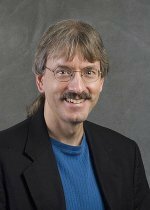 Congratulations to Dr. Steven J. Smith, senior scientist at Pacific Northwest National Laboratory, on being chosen to serve as an editor for Environmental Research Letters (ERL). Smith, chosen for his expertise in emission metrics, integrated assessment models and socioeconomic scenarios, will help direct the journal's research selection and assist with the peer-review process. ERL is an interdisciplinary, online-only journal that focuses on issues across environmental science. It brings together scientists, economists, engineers, as well as the public, by covering research in all aspects of the environment. Smith is a lead author of Chapter 5 in the Intergovernmental Panel on climate Change (IPCC) Fifth Assessment Working Group III report, "Mitigation for Climate Change" to be released April 2014, and he was lead author for the IPCC Fourth Assessment Special Report on Emissions Scenarios in 2000. He has authored and co-authored numerous publications, book chapters, and technical reports addressing interdisciplinary aspects of energy and climate change. Smith also serves on the editorial board of the interdisciplinary, open-access journal Earth System Dynamics. Smith has a Ph.D. in physics from the University of California, Los Angeles.